Luke Christos, a fourth-grade student at Sarah Noble Intermediate School in New Milford, recently participated in the American Heart Association’s Jump Rope for Heart Program during physical education class at SNIS. Luke raised over $2,000 dollars in honor of his aunt. He set a fundraising goal early on in the program and shattered it by raising as much as he did. Sarah Noble students collected donations for over a month and raised more than $16,000 for the American Heart Association. 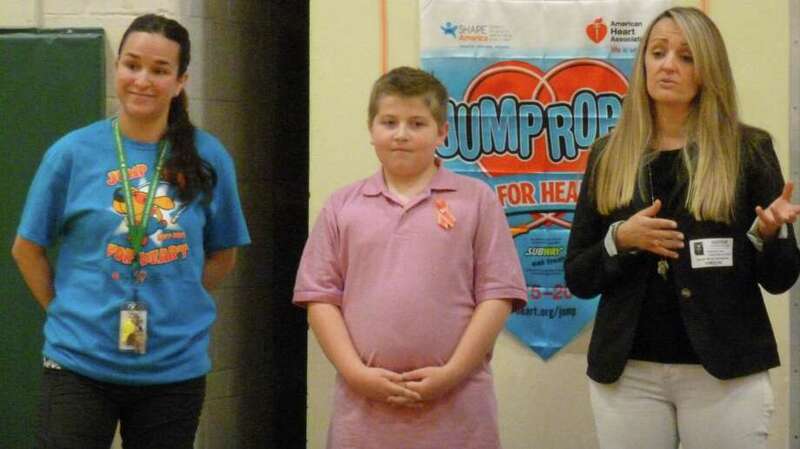 Above, Luke is shown with PE teacher Daniella Brooks, left, and Kim Fazio of the American Heart Association.